I have vivid memories of my first time in Strasbourg, when entering the exclusive world of Edouard Arzner, producer of quality food, and in particular the Foie Gras made from goose or duck liver. 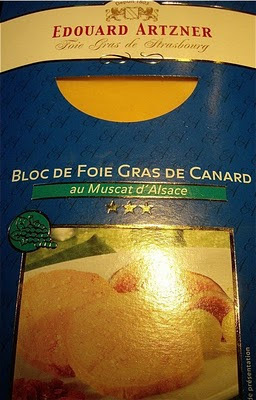 When shopping at duty free in Brussels airport, I could not resist this package of duck liver with Muscat wine from Alsace. As I am no connoisseur of these products, I do not taste much difference between foie gras made from duck or goose, so I most often choose duck, being the less expensive of the two. This package contained two separately packed pieces of foie gras of 50 grams / 2 oz. A product like this must be served with care. 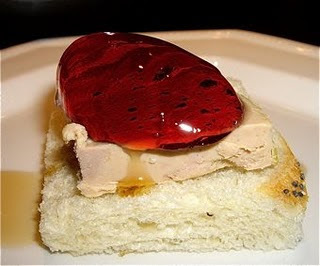 The strange thing with foie gras is that its strong taste meets its match in sweet, and slightly bitter aromas. As I served them both during a dinner party, I chose a crunchy piece of toast as a base, and topped it with cranberry jelly. Even more sweetness was provided the wine that followed this little treat. 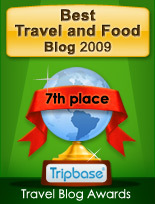 Eduard Arzner, Master of Delicacies! Nederburg Noble Late Harvest 2008 - awesome!! I have expanded my knowledge of wines recently to Late Harvest wines. When serving foie gras, I used to buy expensive wines from the Sauternes district, but has found that even this region is getting fierce competition from the rest of the world. Late Harvest wines are often expensive, but I know of one exception. The Nederburg Noble Late Harvest is an excellent product, a real bargain for half the price of many other wines. In Norway you'll get at 375 ml bottle for 105 NOK (12,80 EUR), and it is as good as many of its competitors. 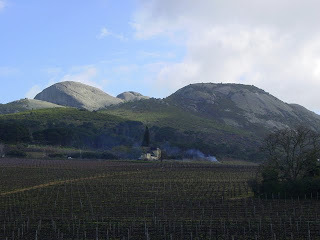 The Nederburg winery was established in 1791 and provides and grapes for this wine come from vineyards in the Paarl and Stellenbosch regions. Nederburg Noble Late Harvest 2008 is a blend between Chenin Blanc (78%) and Muscatel (22%) grapes, produced by the renowned Nederburg estate in Paarl on the Western Cape. 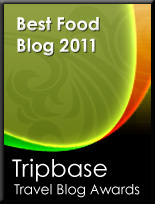 It is recommended to cheese, fruit, and desserts. Nederburg Noble Late Harvest 2008 has a beautiful deep orange colour, and intense aromas of peach, honey and citrus, and even marmalade, and the intense taste fades out elegantly. It is a superior wine, even to similar German and French wines.